Sources: Wikipedia, plus brochures and pictures comparison. There can (or must? ) be errors or omissions, so feel free to propose your corrections. 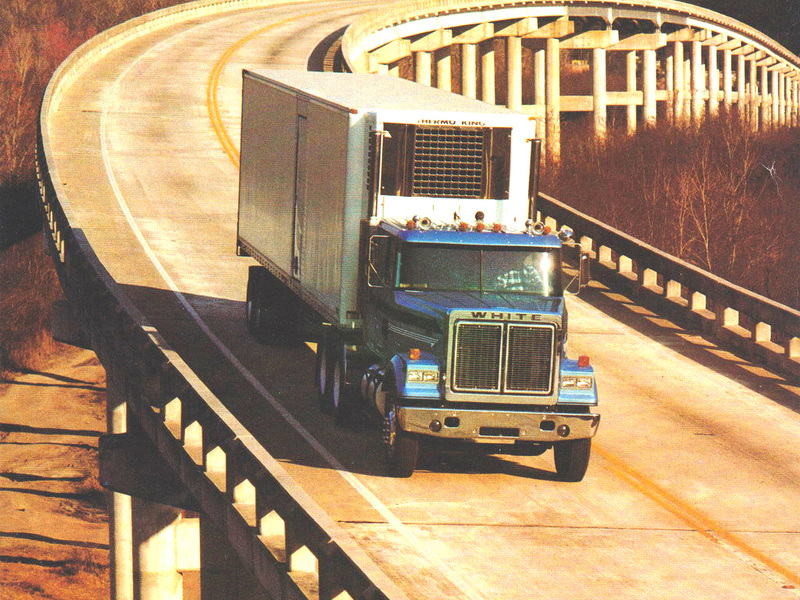 • 1980: Volvo acquires the US part of the White Motor Company. ⇒ 1981? 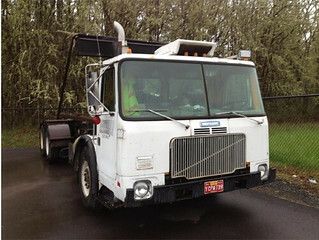 : New grille for the Volvo-White trucks, with a diagonal bar as a reminder of the one of Volvo. 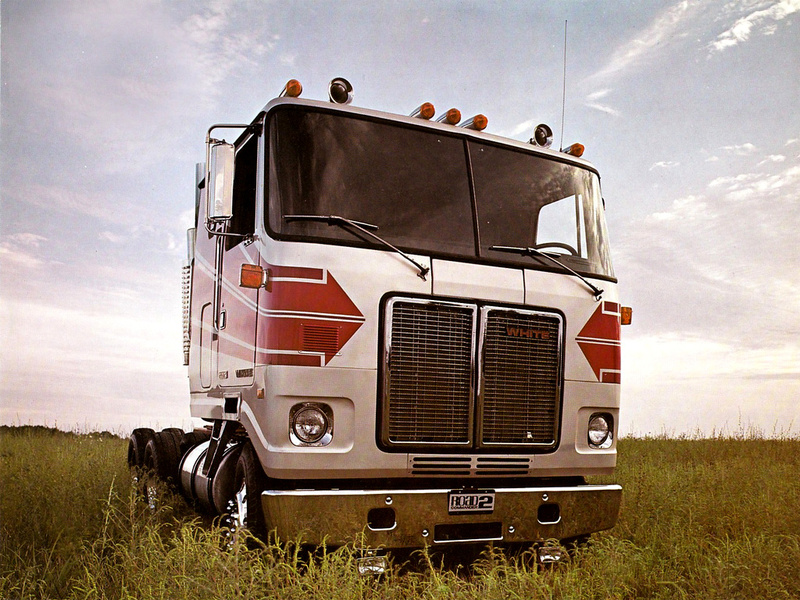 • 1987: Volvo purchases GMC's heavy truck business and merged it with White, creating the White-GMC brand. 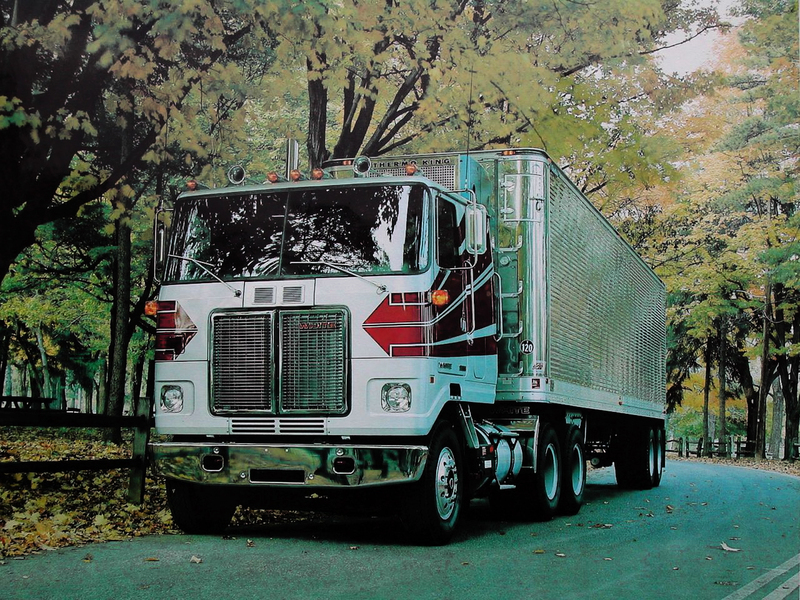 ⇒ 1988: New emblem WhiteGMC on trucks. • 1997: Volvo drops any reference to White. 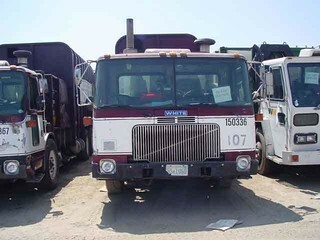 • 2000: Volvo sells Autocar to Grand Vehicle Works together with the Xpeditor. 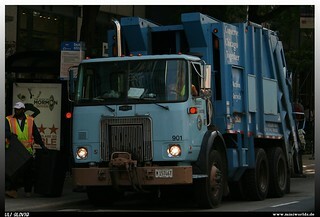 I didn't find any precise date about these events, but I assume that the year of the changes on trucks can be understand as model year. Road Xpeditor / Road Xpeditor 2 / Xpeditor... From what I have seen, Road Xpeditor 2 and Xpeditor "only" seem to be the same trucks. Was it just a name change made in 1978 or 1979? Or did it only occur when Volvo purchased White? 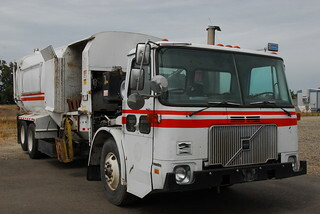 During the first years of the Xpeditor (i.e sometime between 1980 and 1987, I haven't find the precise year for now), a second cab was unveiled. The "standard" one became the WX (most certainly due to White Xpeditor), while the other, with lower entry, got the WXLL (White Xpeditor Low Level) code. 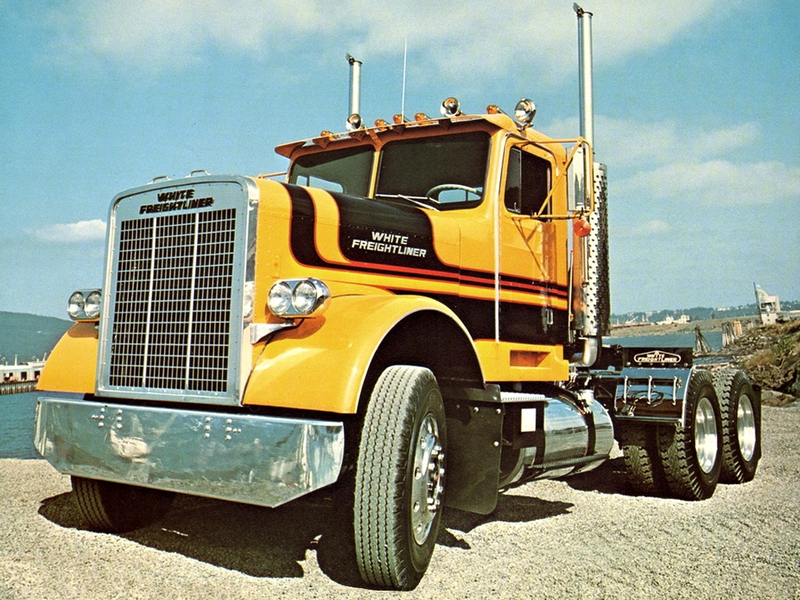 • The Powerliner was unveiled in 1973 (same link). • No model with a "double square" grille can be younger than 1981, as the diagonal bar grille of the Volvo-White appeared after Volvo bought White in 1980.
autowp.ru is a nice website for factory pictures, but is definitely not a trustworthy source concerning the model years. So i think it's better to stay off them, i really like you precision eLMeR! big respect for you. 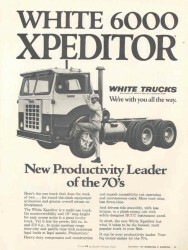 - the White Road Xpeditor 2 was launched in 1976. 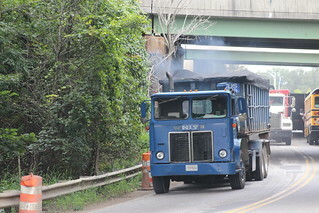 It had a new cab, not a modified cab from the previous Road Xpeditor. 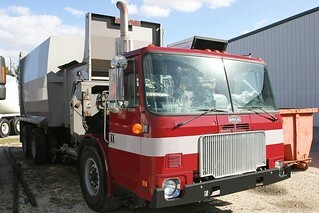 Because that one was itself derived from the old White 1500 series truck. 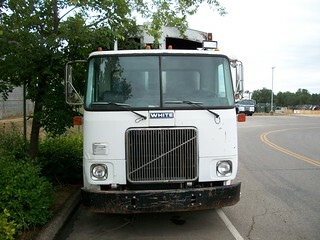 - the Volvo-White Truck Corporation was launched on August 31, 1981. 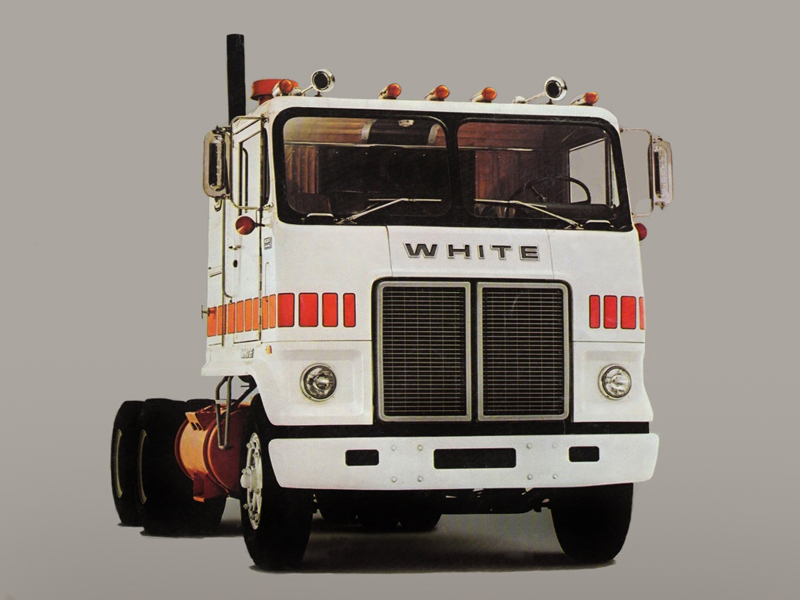 The White range was revised, got a Volvo diagonal bar, and relaunched in June 1983, including the Xpeditor. 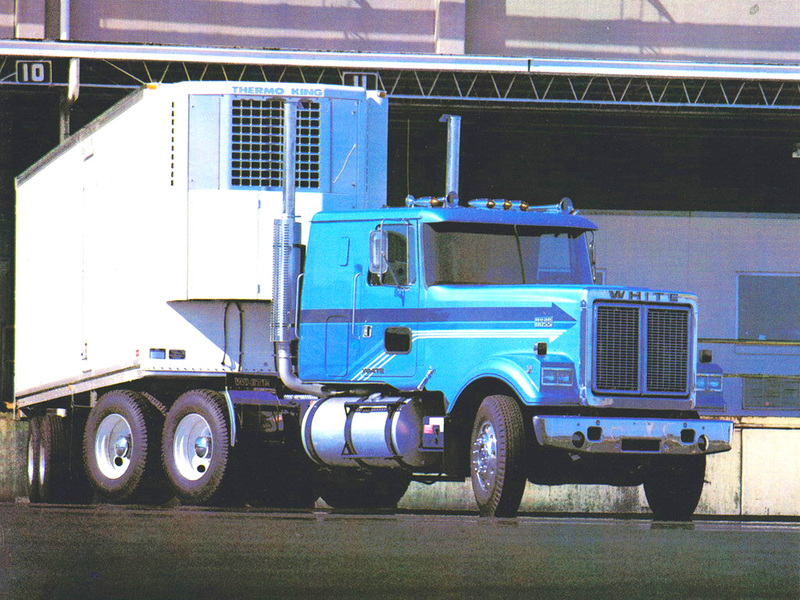 - That lower cab version is actually pictured in the book. 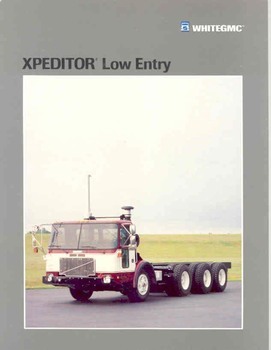 It's from 1986 and was called Xpeditor Low Entry. - The difference between the WX-42 and the WX-64 models ? 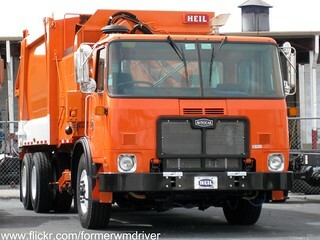 I suppose it's the same as with every other american truck, and refers to the number of axles. 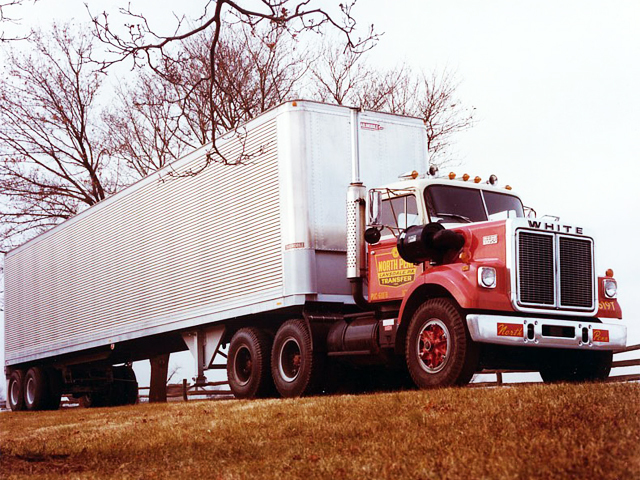 42 means a 4x2 truck, 64 a 6x4. - the White Road Xpeditor 2 was launched in 1976. 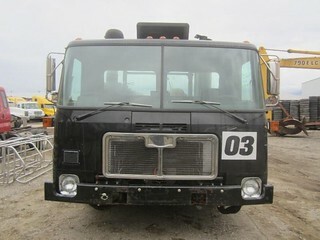 It had a new cab, not a modified cab from the previous Road Xpeditor. Agree(d) with this. My only doubt was and still is about the Road Xpeditor II / (only) Xpeditor name change. See the linked brochure in my very first post. 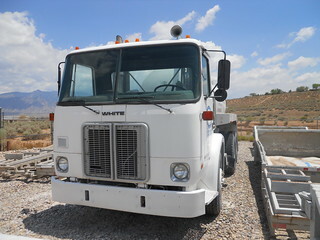 [...] Because that one was itself derived from the old White 1500 series truck. ... and from the 6000 Xpeditor. Or was it just it's first sales name, while it still had the 1500 grille? 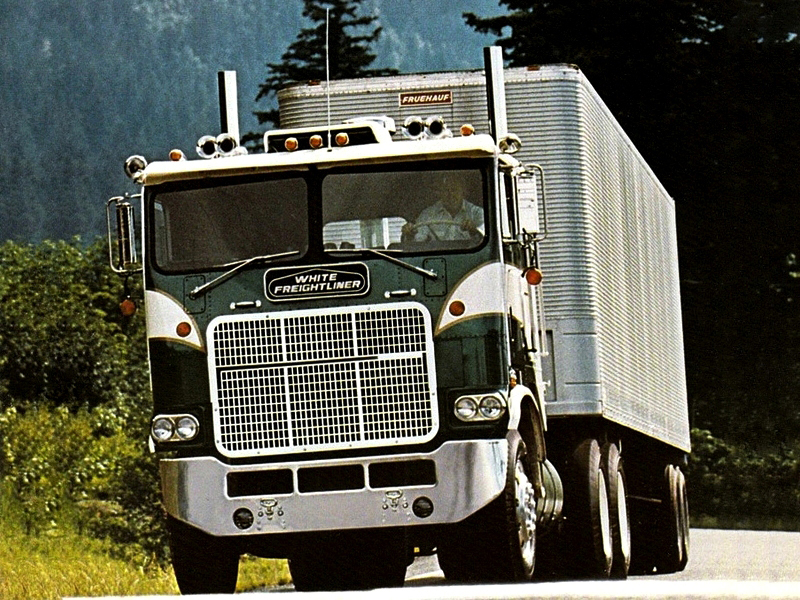 "Relaunched in June 1983" : does that mean no White trucks between mid-1981 and mid-1983? Was it unveiled as 1986 or as 1987 model? I see regularly this problem in books: the author often "think" civil year, not model year. If only sold as 1987 model year, then it existed only 1 year as White truck. 1997-2000 Volvo models also used the WXLL model name. I discovered that since this 2015 post, indeed. Thanks! 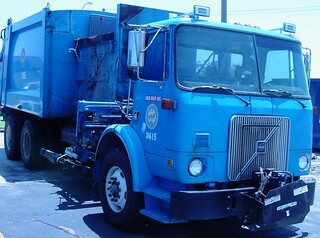 European Volvo trucks abandoned the square in the middle of the bar for the 1984 model year too. I'd say the range remained sold as White during those two years, while the rebranding was getting ready.